Our only granddaughter. Kaylee-lou is what I call her sometimes. She is ruler of the boys at her house! (She is blessed with 4 brothers) She has a sweet heart and a love to help mommy and daddy. God is good! When her daddy married our oldest daughter, we were thrilled to at last, have a granddaughter! She’s been our little sweetheart ever since. Marriage is hard for anyone, but especially so for blended families. How many blended families do you know? In your church or your neighborhood? Can you think of some ways to encourage and even help them in stressful times? Sending a note or card of encouragement to both parents is good, calling their names on a daily basis is important as well. Offering to babysit for a couple hours while they go for a quick bite, or just a walk together, alone—without the whinney “I want’s” tagging along. When sending a card, include an uplifting scripture, and even a short prayer. That let’s them know they are thought of and loved. Mom’s and Dad’s need this as never before! In the days we are living, life is stressful—the economy—medical situations—school issues—life in general. The enemy will work the hardest on families who are trying to stay in step with God—to cause them to lose sight of Him—and their goal. Heaven. Seek out those that need your attention. Ask the Lord to cross your path with individuals that maybe just need a smile or hug. Freely give of the love that the LORD has given you! For those of you (ladies only) who are following along with the ramblings of my hormonal days, I have posted an update regarding medication. Or, at least what I am taking. The link is included here. I pray blessings on your weekend! God is faithful! God is good! Read Romans chapter 8. The whole chapter in the Amplified Version if you have it! If you aren’t shoutin’ when you’re done, your shouter is broke. And you better get it fixed! This entry was posted on Thursday, September 10th, 2009 at 3:49 pm	and posted in faith, Family. You can follow any responses to this entry through the RSS 2.0 feed. « A great Laced With GRACE Give-away! Amen, amen to this wise post sis. I love you. What a sweet granddaughter! How wonderful you all were able to bond so well. She is absolutely beautiful! You both are. The treasures of having a grand daughter are great as you know I have two bundles and as I type this one is sitting here leaning on Grandma's arm smiling up at me. I agree with your message on reaching out to blended families etc. In these days everyone can use some encouragement and help. I love your heart Sis. Oh and Romans 8 in Amp is one of my favorites! Shout indeed! Amazing how Gods love does for us what we can't see we need at the time. Taking care of and providing for all concerned. He gave them to you because he knew your heart. God is good ,he blesses us in so many ways. i stopped and read Romans 8 in the AMP.Bible .Yes it is reading that will cause you to rejoice and be at peace. thank you for leading us to this passage today. Such a beautiful granddaughter! I enjoyed this post very much. So many families cannot “blend” so well. This is so sweet. Thank you for sharing dear sister. May my shouter never be broken, Lord…especially love the last two verses in Romans 8…. What a beautiful granddaughter and a wonderful post. “only” granddaughters are special…regardless of how they come to be your grandchild…they make life exciting and there is a special bond with them. Thanks for sharing………..God has truly blessed you….and her with such a wonderful grandmother. 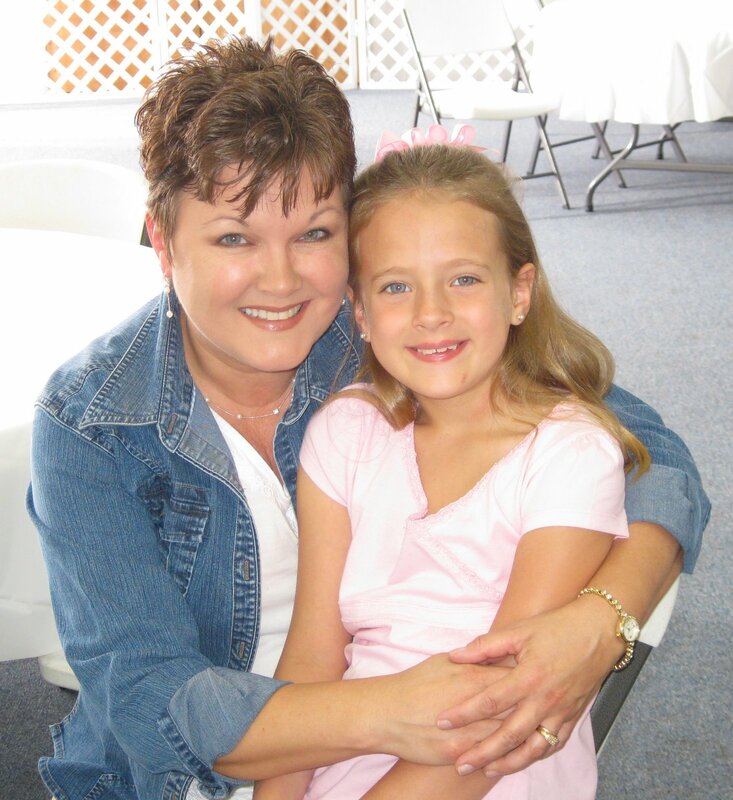 Love this post… God knew what He was doing when He brought you into this little girl's life! Beautiful picture of the two of you! She is ADORABLE and you gave me something to think on this week…the blended families I know…thank you sister! As for my shouter…well, I think you probably know that mine works pretty well!! lol!